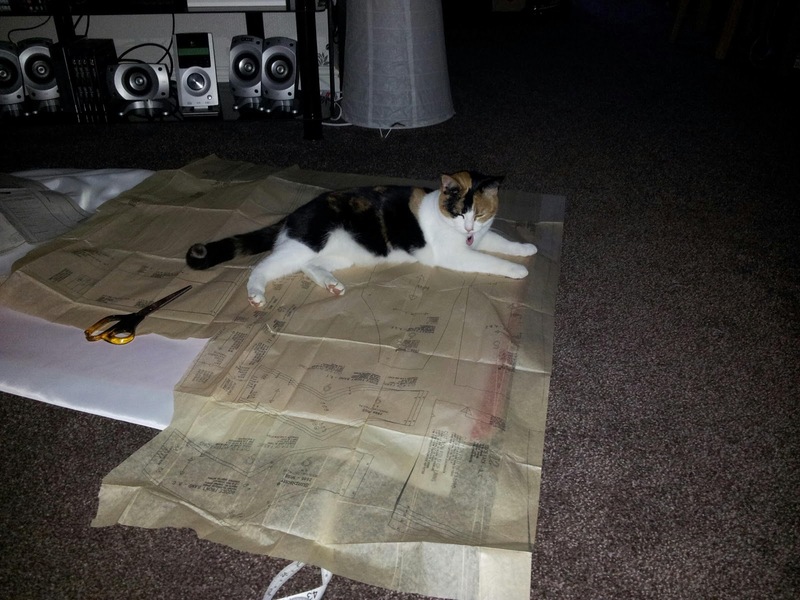 Sew New: What is it with cats and tissue? As soon as I lay out a pattern they are there. If any are sticking up, they try and get under. I'm not sure this is what is meant by pattern weights! Oh Mummy look, I can sew too! So, I've started another dress. I should really have a break after the last one, but I really want to start another. 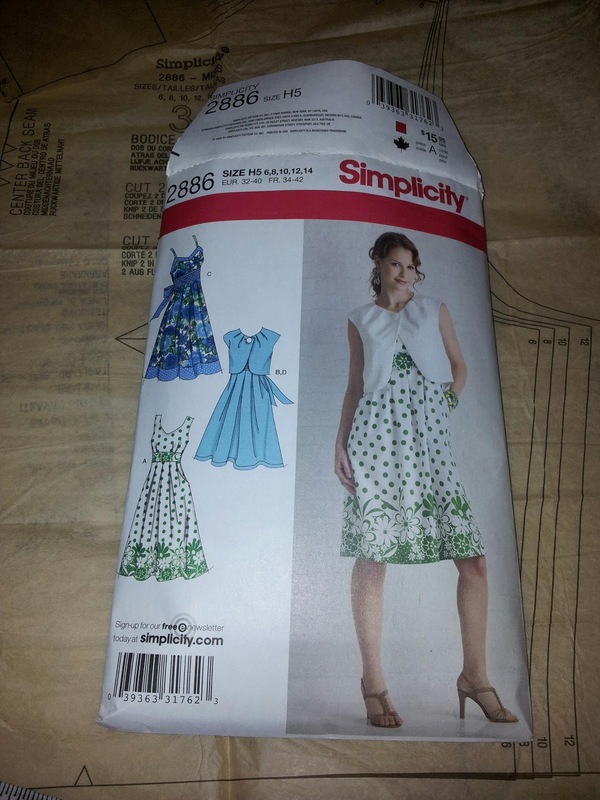 I was going to make Butterick b5317, however, I opened the envelope to find the wrong size pattern. Great stuff, I've had it a couple of months now, so I can't take it back. Ebay it is then. So instead, I've got out Simplicity 2886, which I think was pattern of the week last week on the Simplicity New Look website.